The Mohs scale of mineral hardness is named after German scientist, Friedrich Mohs, who invented the scale back in 1822 for natural materials, based upon the ability of one mineral to scratch another. The Mohs scale, still in use today, charts the relative hardness of the various minerals (1 – softest to 10 – hardest). With talc and soapstone at 1 and on the other end of the scale diamond at 10. To put this in perspective, here are some more items and their relative ratings: your fingernail is about a 2.5, Gold is 3, a copper penny is 3.2, iron is 4.5, glass is between 5-6 and a steel needle is 6.5. Most marbles and limestones fall in the 3-4 area and most granite materials fall between 6.5-7 with quartz and quartzites being marginally harder (7). When it comes to the hardness and durability of natural materials, marble and granite are both perfectly suitable for worktops, as is limestone! It is precisely the hardness of natural stones that make them so desirable, and so popular, as a worktop material. However, it’s important to be aware that chips (albeit infrequently) can happen. Indeed, anything can chip, if you catch even the hardest material at the right angle, with the right force! We’ve been in the industry over 40 years and can confirm that unfortunately accidents do happen. This is why, it is so important to choose a company that will stand the test of time and still be there, 10 years down the line, in case you do get a crack, chip, or a join that needs redoing. 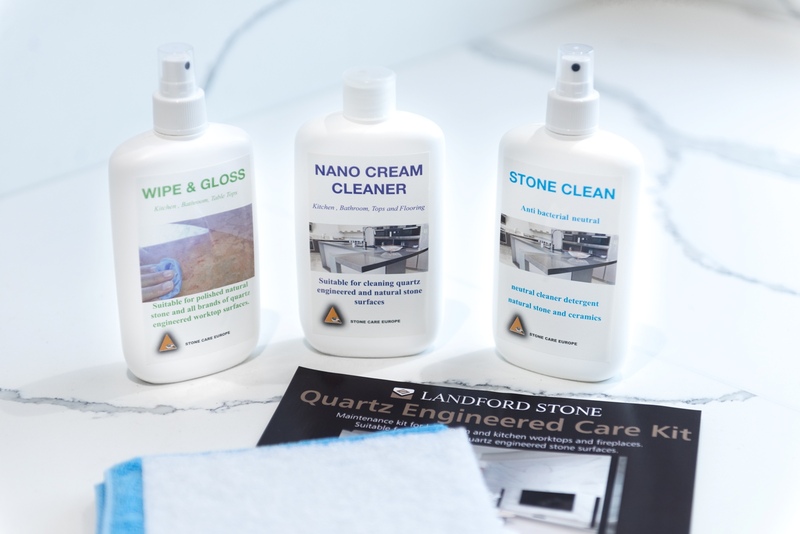 At Landford Stone our craftsmen carry out the most unbelievable repair work – invisible mends, that make you question where the mend even was! So, if you do have a problem, don’t panic, just get in touch! 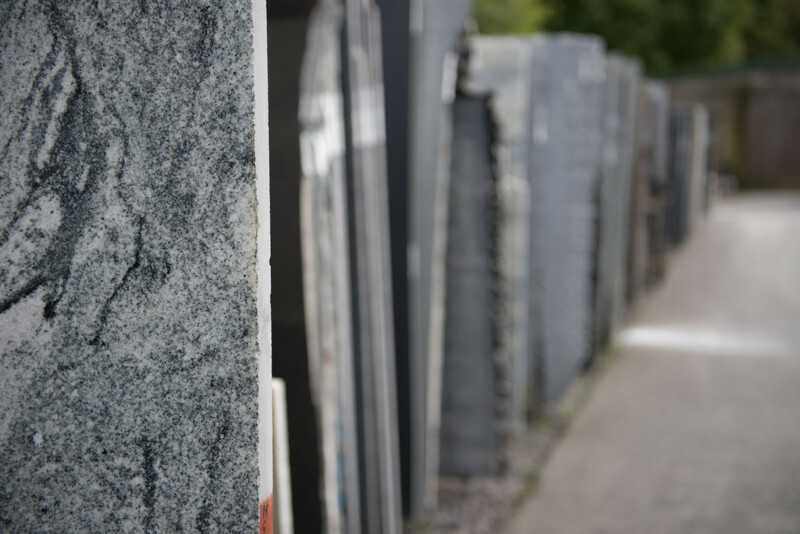 The vast majority of the slabs we buy come already ‘stopped and filled’. 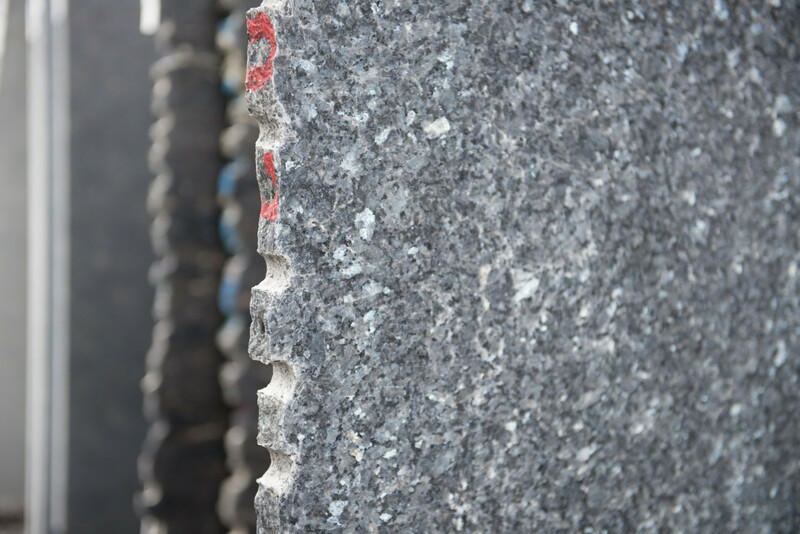 In other words, once a slab has been cut from the original block and has passed through the polishing line, it is very common to find natural fissures and vents within them. These fissures and vents are then filled to make them just as hard as the surrounding material so they don’t retract from the stability of the stone. 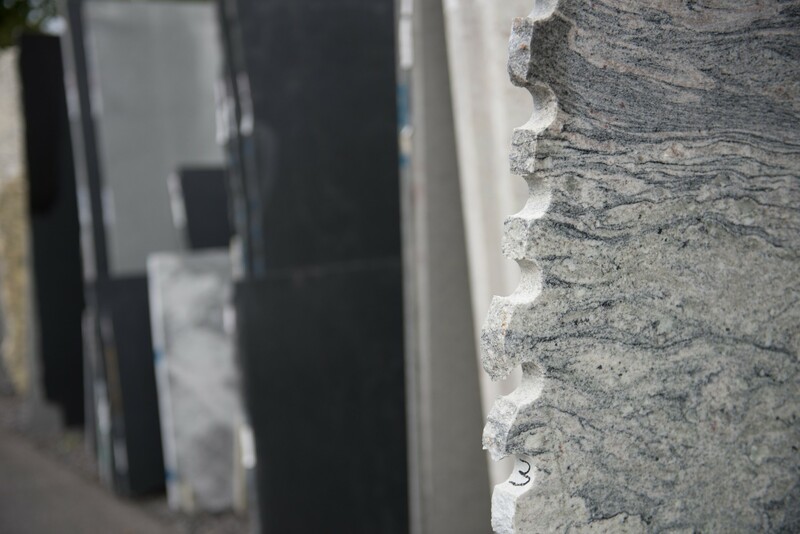 Remember, natural stone has inherent characteristics, it is ‘natural’ and will always be perfectly imperfect. Teltos and modern manufactured quartz materials in terms of hardness are up there with granites and quartzites (6.5-7). The only difference with manufactured material, is that it contains a degree of resin in it. It is the resin in manufactured stone which does make it marginally more susceptible than natural material to bowing under pressure. Should I be using trivets for hot pans? The quick answer, yes. 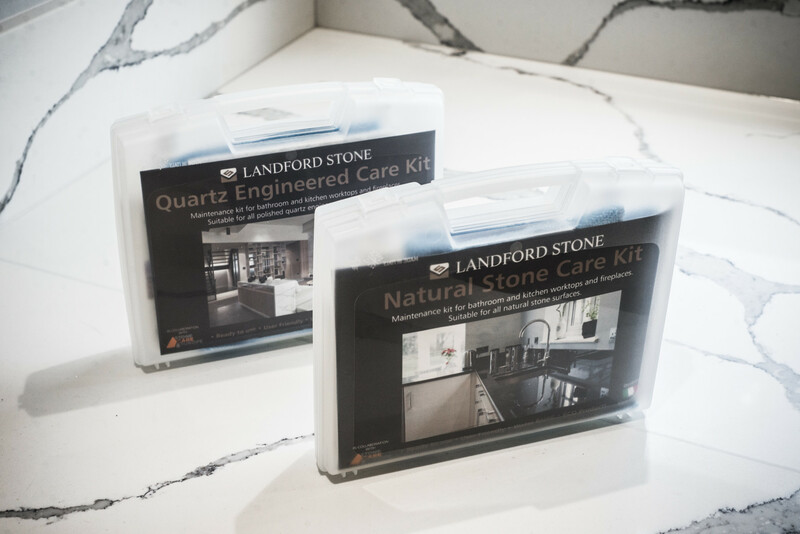 When it comes to caring for your worktop, whatever your material, we would always recommend using trivets and hotpads when placing hot pans directly on the stone. Why? Because all stone material, both natural and manufactured, can experience ‘thermal shock’ from extreme temperatures potentially causing cracks; it is always better to be safe than sorry! That said, in reality, granite, more so than marble and limestone, is very heat resistant and so 99 times out of 100 you are probably going to get away with it. Hence why granite tends to be a top choice when it comes to worktops. With manufactured quartz, it is especially important to take care with very hot items, as the resin element within the quartz can melt and it will mark. These marks are sadly not fixable, which can be a ‘previso’ with man-made quartz. If you have any questions about chips, staining or the general aftercare of your worktop, do please get in touch and speak with one of our experts.